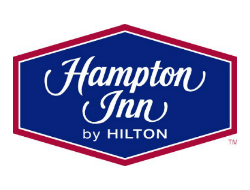 Hampton Inn by Hilton in Sydney, Nova Scotia is centrally located near Exit 7A, off Highway 125, minutes away from downtown, local attractions, restaurants and shopping. Their hotel in Sydney, Nova Scotia is conveniently connected to the Membertou Trade & Convention Centre via a pedestrian walkway. Savor flavors at Kiju’s, one of Sydney’s top restaurants, and enjoy a variety of live entertainment, conferences and special events within the centre. Begin each day in their Sydney, Nova Scotia hotel with a cup of fresh coffee brewed in your room, and then join them for Hampton’s free hot breakfast in the dining area. Plan your day’s activities using the free WiFi in your room. Learn more about the history of the area at the national historic site Fortress of Louisbourg National Historic Park. Visit the Alexander Graham Bell National Historic Site on Cape Breton Island. Use their Sydney, Nova Scotia hotel as a base to explore Cape Breton Highlands National Park, home to the famous Cabot Trail. The park has spectacular scenery, abundant wildlife and a human history that stretches back to the last Ice Age. The Cape Breton Miners Museum pays tribute to the region’s long and rich history of coal mining. After a full day of sightseeing or shopping, relax in their pool, then fall asleep in the crisp linens on your clean and fresh Hampton bed™.